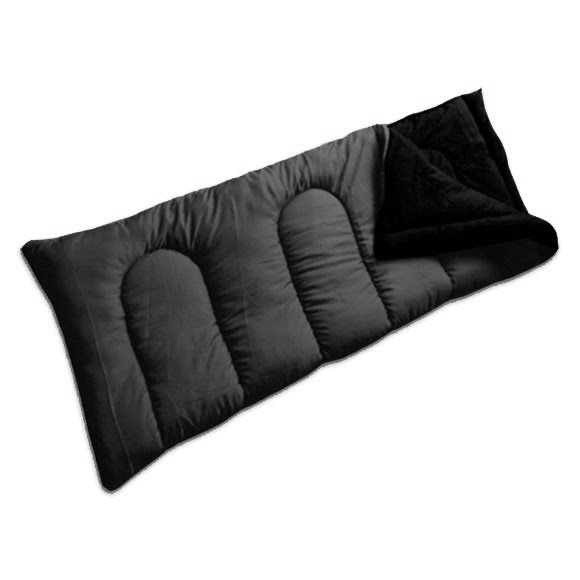 This traditional World Famous style rectangular sleeping bag is ideal for sleepovers, backyard camping or casual car camping adventures. Featuring Hollow Core Fiber insulation and soft, comfortable brushed polyester flannel lining for a great nights rest. Unlike down, synthetic insulation maintains its loft, and therefore its insulative properties, even when wet. Synthetic fibers also maintain their loft over a longer lifetime than natural insulators.